- Are a Malaysian who isn't currently bonded with any organisation. - Have an offer from a local or foreign university to pursue a post-graduate degree/diploma. - Have a track-record of academic achievements. - Have an entrepreneurial spirit and enjoy working in fast-paced environments. - Speak and write English very well. - Have a minimum of 3 years working experience. - Possess proven leadership qualities. - Are a high-achiever, very motivated and possess a dynamic personality. 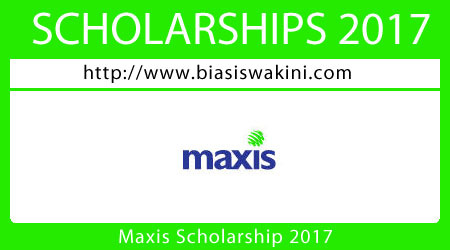 0 Komentar untuk "Maxis Scholarship 2017 - Biasiswa Maxis 2017"